It wasn’t long ago that Internet security was mostly about protecting yourself from teenage hackers. Those days are long gone - cyber-criminals now include sophisticated, well financed criminal gangs, state sponsored actors, militaries and terrorists. They may even have more resources, capacity and expertise than you do. And they are out to steal your intellectual property, hold you hostage, or disrupt your operations. You don’t want to bring a knife to a gunfight. That’s why so many organizations are adopting Zscaler and the power of cloud computing for their advanced Internet security. How can you deploy excellent security if the walls around your castle are full of holes? 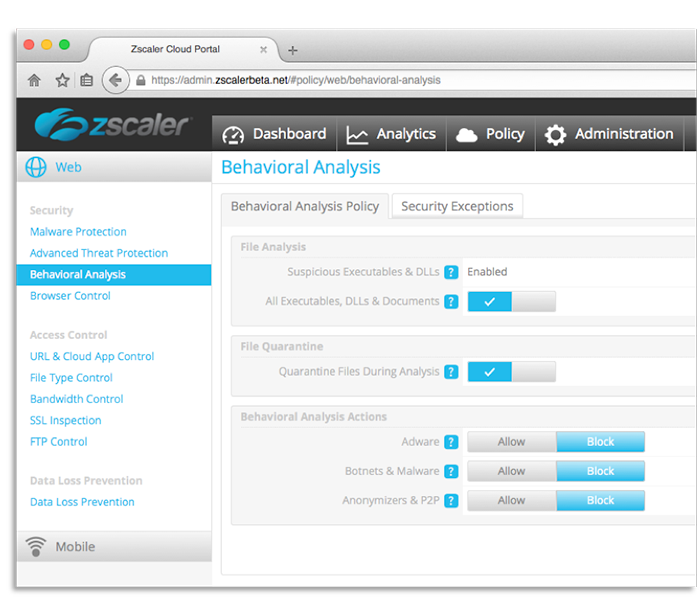 With Zscaler’s cloud-based Internet security platform, all of your users, systems, devices and things are protected — wherever they happen to be and however they are connected to the Internet — there are no gaps. You simply need to direct your Internet traffic through our global network of policy enforcement points and you will be protected. Zscaler is a broad, integrated security platform with deep functionality spanning many security applications—so we can correlate threats across many vectors. But as an integrated platform, we also greatly simplify global administration. We feature unified, web-based graphical administrative and reporting tools that can manage massive global deployments from your PC or tablet. Integrated applications and unified administration greatly reduce complexity - which dramatically enhances your security posture. 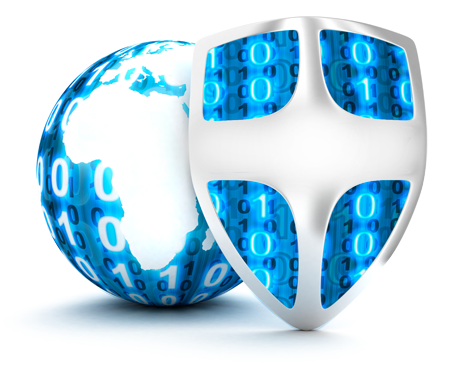 Zscaler includes built-in defense in depth—we put all of your Internet traffic through multiple layers of security which are always turned on and every byte is always inspected. Signatures and behavioral patterns based on trillions of transactions, six different anti-virus engines, machine learning and risk scoring, and advanced behavioral analysis and sandboxing are just some of our many layers of capabilities. We also automatically decrypt and inspect SSL traffic - so neither threats nor data exfiltration attempts can hide behind encryption. Plus, Zscaler can lock down your Internet usage - by port, by protocol, by location, by application, and by user. Your point of sale devices have no business communicating with random servers in Eastern Europe, ever - Zscaler can prevent this. We can inspect and block outbound content, even if it encrypted, to make sure it doesn’t contain customer information, credit card numbers, or other intellectual property that you don’t want leaving your organization. Zscaler is always deployed in-line, so we can always block threats, stop botnet command and control infrastructure, and prevent data exfiltration. Hardware appliances for advanced security are typically deployed in TAP mode—so they trigger alerts but do not block threats. At Zscaler we believe that security strategies based on alerting are doomed to fail - that’s why we are always in-line and always in position to block. Zscaler makes full use of big data—we process roughly five trillion transactions per year - and we use this massive pool of information to provide you with better security with fewer false positives. Each one of our customers benefits from the security insights we glean from the traffic generated by the entire Zscaler community. Our network effects and quarantine are unique and profoundly differentiated. When we identify a new zero-day threat attacking any one of our 5,000+ customers, all 13 million of our users are instantly protected. And our quarantine capabilities mean that even the first person in the whole world being attacked by a new zero-day attack won’t be infected. Your appliances can’t quarantine and only have visibility into the traffic at the location in which they are installed —leaving you thousands of times more exposed. Click here to learn more about Zscaler.